CHUM hopes to raise $115,000 during Minnesota Foodshare March Campaign, which runs through Sunday, April 7. 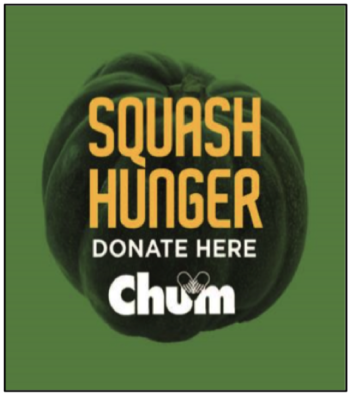 Through various purchase arrangements, CHUM can purchase $7 worth of food for every $1 contributed. In 2018, the CHUM Emergency Food Shelf distributed over 300,000 pounds of food at three standing sites. The food shelf provides a five-day food supply for people without food or the resources to buy food, as well as advocacy services connecting people to community resources (e.g. shelter, medical care, children’s services, employment, clothing, and emergency monies). Staff, along with approximately 100 volunteers, distribute this food to almost 600 households each month. FUMC, as one of CHUM’s 43 member congregations, is being asked to support this effort. Last year, the FUMC family contributed $200, and a number of church members believe we can do better! $800 has been pledged as a dollar-for-dollar match for contributions placed in church offerings designated for CHUM Emergency Food Shelf. Do the math: $800 (x 2) becomes $1600… and then leveraged by CHUM’s purchase arrangements (x 7) becomes $11,200 worth of food. Let’s all participate in this ministry to bring about a modern “loaves and fishes” miracle of providing food to those who are in need!